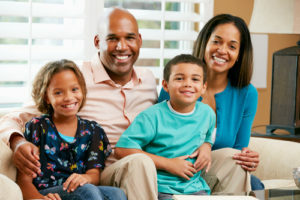 Family Dentistry – Complete Dental Care for the Whole Family! Here at Beautiful Smiles, we like to think of our office as a home away from home – a warm and inviting place that is welcoming to every member of your family. We want to make dental care both effective and convenient for you and your loved ones, which is why we offer a full array of family dental care options. From oral exams and regular teeth cleanings to dental sealants, tooth-colored fillings, and gum disease treatment, Dr. Harold A. Pollack and his experienced dental team can take care of many common dental concerns right here under one roof. Dr. Pollack wants to make sure that patients of all ages have access to the many routine dental treatments designed to help prevent serious problems down the road. Our comprehensive selection of family dentistry procedures, along with a variety of pediatric dental treatment options, can provide the tools you’ll need to ensure that you and your children are able to maintain excellent oral health and a beautiful smile for years to come! Our team also understands the importance of making patients—particularly small children—feel as comfortable as possible. We have a number of amenities to help make the time spent at our practice both pleasant and fun. This approach can ultimately help relieve any anxieties about dental treatment, and make regular dental visits something that your child may even look forward to! If you have questions about how we can help you or other members of your family with routine, cosmetic, or restorative dental care, please don’t hesitate to contact Beautiful Smiles by Dr. Harold A. Pollack in Millburn, New Jersey.